Online casinos belonging to the Betsson Group, have today added a new exclusive NetEnt slot, Glow. 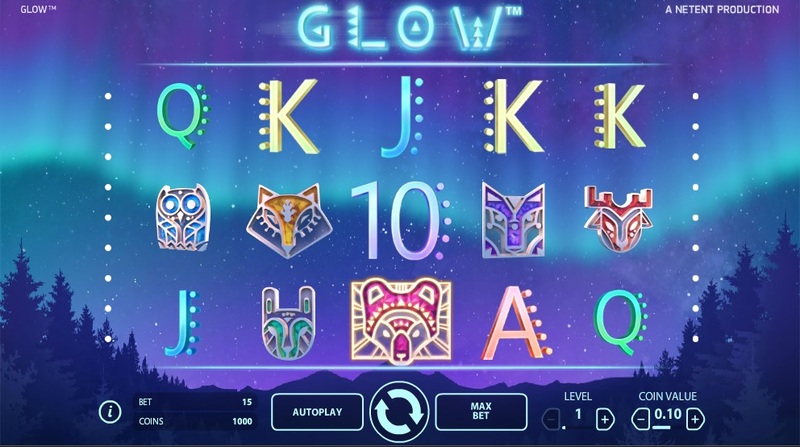 Glow is in fact a clone of the popular Fruit Shop slot game. But I think Glow looks a lot better. It feels a bit like Secret of the Stones, symbols-wise. The game uses 15 lines and wild symbols that double any winning combination. 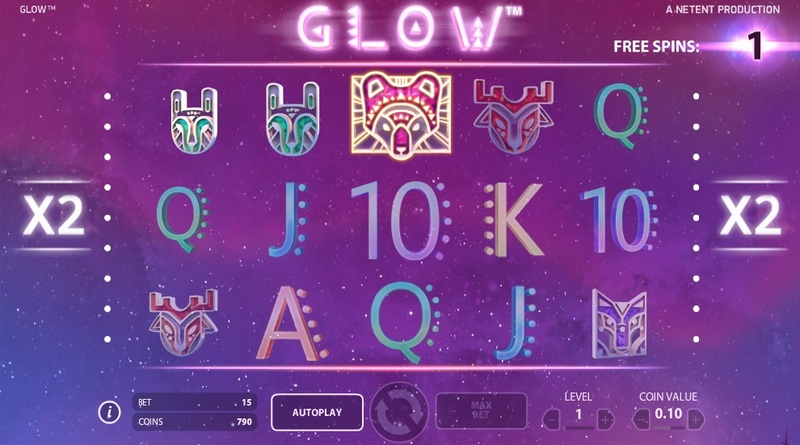 Glow also uses the same free spins feature as Fruit Shop. Get any winning combination of 3 or more of the highest 5 symbols and you are awarded with 1 to 5 free spins for each line. During free spins all wins are doubled and any winning combination will add extra free spins. You can collect a lot of free spins during this feature. That’s why the game is so popular. I especially love the graphics and music of Glow. And a lot of people will love the gameplay! As I mentioned earlier, this is an exclusive slot only available at casinos belonging to the Betsson Group. These casinos are CasinoEuro, Betsafe and Betsson. I don’t have a gameplay video, so I have added two screenshots. You can play the game for free or for real at all mentioned casinos.